When estimating gas fluxes by means of the eddy covariance (EC) technique, measurement representativeness is ensured by the availability of an adequate fetch. In applications over spatially limited fetches, it is possible to constrain the sensed source area by shortening the measurement height, but this comes at the cost of potentially violating some fundamental assumptions of the method or introducing significant measurement errors. In addition, reliability of footprint models when applied to measurements close to the surface is still debatable. 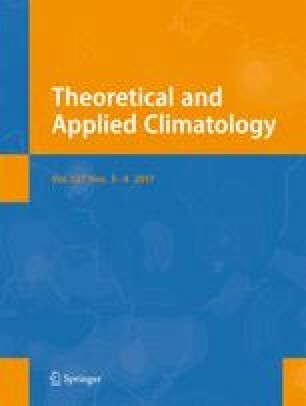 In this manuscript, we investigate whether it is possible to use the EC method for determining the surface-atmosphere exchange over spatially limited ecosystems on horizontal scales of about 100 m. The objectives are (1) to determine the adequate positioning of the instruments in the atmospheric boundary layer, (2) to assess the quality of measurement in search of potential biases, (3) establish whether the source area is sufficiently constrained, (4) and evaluate the performances of some popular footprint models in such conditions. Most notably, we carried out an experiment to assess the footprint of two low EC systems and to evaluate the prediction of the selected footprint models against empirical data. Our findings show that (1) depending on the properties of the underlying exchange surface, EC measurements as low as 0.8 m above the canopies’ displacement height are still feasible; (2) spectral losses as high as 34 ± 6 % can occur (dominated by instruments displacement), but can still be quantified and largely corrected; and (3) the measurement source area is sufficiently constrained during daytime conditions and two footprint models predict it accurately. We conclude that it is possible to apply EC in fetch-limited applications, at least when surface properties of adjacent land covers do not differ too drastically. The online version of this article (doi: 10.1007/s00704-015-1673-x) contains supplementary material, which is available to authorized users. This work was supported by the Russian Federation government grant no. 11.G34.31.0079 “Analysis of GHG fluxes, C and N stocks of anthropogenically affected ecosystems of European Russia.” We thank Turmushbek Murzabekovich Dzhancharov and Vasily Alekseevich Barkov of LAMP Research group for their assistance in the field experiment setup. We also want to thank anonymous reviewers for their useful comments and suggestions that served as input for further analysis.